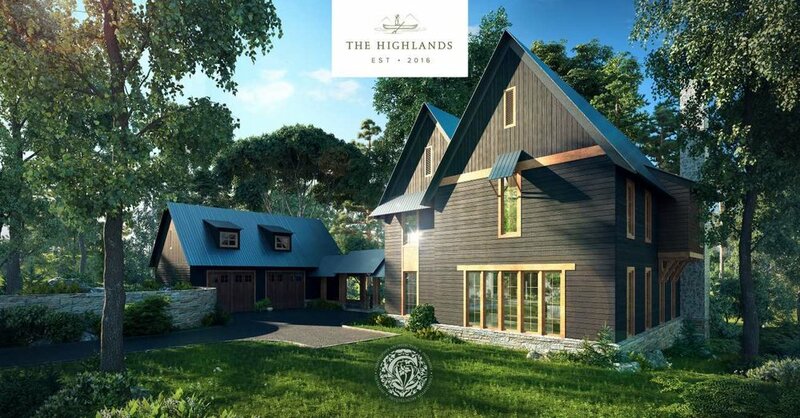 This four bedroom, four-bathroom custom home was designed by Christopher Architecture and Interiors to take advantage of the existing topography found at The Highlands. All three floors of this home open to views of the landscape. A breezeway leading to the entry offers a moment of pause and captures the existing scenography.